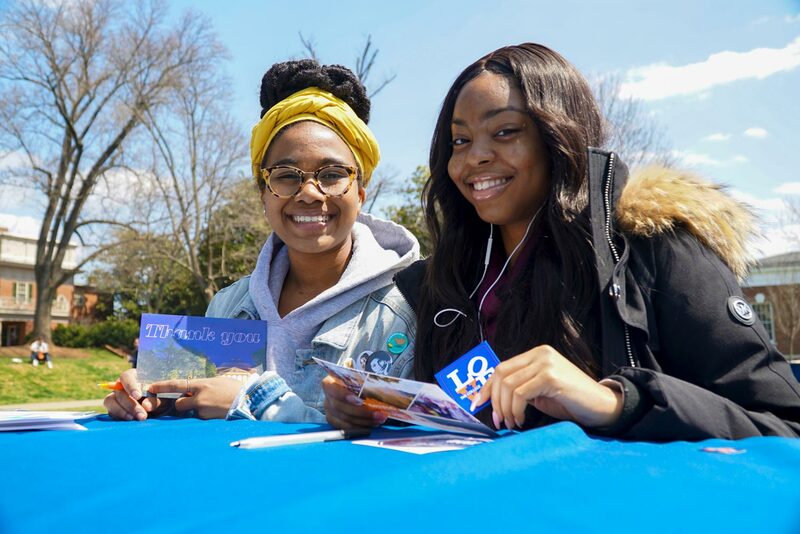 The University of Virginia’s 2018 “GivingToHoosDay” was a triumph by any standard, generating a total of $4,450,447 from 7,247 gifts to date. Tuesday’s day of philanthropy brought contributions from 22 countries and all 50 states, reflecting a commitment to the University by donors around the world. 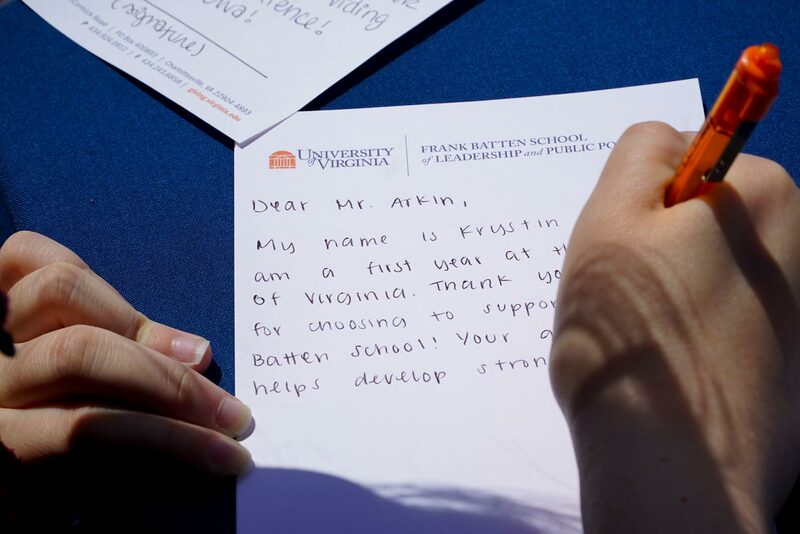 It also brought hundreds of students to the Lawn, eager to pen handwritten letters letting those donors know just how much they appreciate their support for the University. The sheer number of matches offered through schools, units and other individuals set this year’s event apart from previous events. In total, 30 distinct matching opportunities served to encourage giving and increase the impact of philanthropy. For the third year in a row, UVA President Teresa A. Sullivan also made her own challenge gift from her budget, providing $100,000 to encourage giving to the University’s 11 schools. Across Grounds, team members spent the 24 hours in makeshift “war rooms.” Monitoring social media and the official “GivingToHoosDay” website, they tracked the day’s numbers and progress. Their vigilance paid off. As of midnight, the College of Arts & Sciences had raised $643,783 from 1,129 gifts, while the Darden School of Business brought in 987 gifts for $1,239,582 and led results for the most dollars raised. Patrick Stanley, director for digital engagement and “GivingToHoosDay” leader, was delighted with the day’s overall success. Support for “GivingToHoosDay” makes a difference across the University. Students and faculty members at all UVA schools benefit from gifts, as do those who are involved with other UVA programs – including those supporting the arts, athletics, career development and health.